Friday is associated with Goddess Lakshmi in many regions in India. Hindus perform various rituals to please Goddess Lakshmi on the day. The main intention is to get more and more wealth and to come out of financial difficulties. 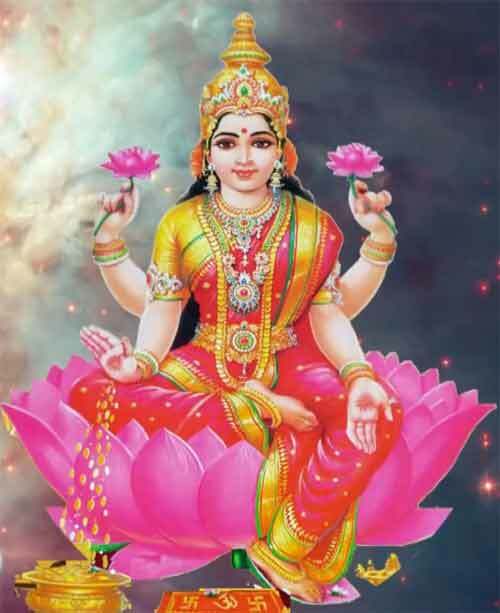 There is a rare Friday mantra of Goddess Lakshmi. As per astrologers based in North India, this mantra will help in solving all problems associated with wealth, property and money. The mantra is to be chanted on a Friday during the Shukla Paksha – waxing or light phase of moon. The Friday after Amavasya is to be chosen. The person chanting mantra should take bath on Friday morning and wear green color dress. The person should sit facing east and should place a picture of Goddess Lakshmi. Light lamp using cow ghee, light dhoop, offer yellow color flowers, offer kheer and finally offer sandalwood paste. After this take a Shri Yantra (if there is no Shri yantra use a small idol of Goddess Lakshmi) and place it in clear water. Sprinkle this water all around the house. This should be continued for 3 Fridays. Planting a tree, feeding animals etc are meritorious deeds to performed on the day.